Lorelei Jayne reserves the right to change our affiliate program at any time. You will earn 20% of each sale referred by you Lorelei Jayne. The referral tracking cookies are valid for 15 days. That means that if someone buys within 15 days of clicking on your link, you will be credited. Payments will be made monthly to your Paypal Account in Australian Dollars. Affiliates must have a valid PayPal account to receive commissions. No exceptions! After registering, you will receive an email with your username and password along with a link to log in. You will also receive emails for any pay outs. To be an effective affiliate try my patterns and share their photos via social media and blogs! 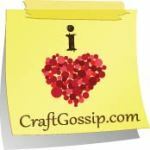 Post honest reviews of patterns you have tried and use an the affiliate links.